The results of a recent The Wealthy Dentist survey revealed that dentists find doctor-to-patient interactions to be their most effective form of dental marketing above all other marketing activities. Direct mail marketing was their second most successful marketing activity, followed by dental patient referrals. Dental website marketing was dentists top online marketing activity, with email marketing, social media marketing, and radio advertising being listed as their least effective dental marketing, in part, because many dentists didn’t regulatory participate in these marketing activities. Possibly the biggest surprise in these survey results is the fact that none of the dentists thought community involvement was an effective form of dental marketing. When asked what marketing activities that they were not utilizing that could help their dental practice, many of the dentists responded that they needed to do more with social media and internal marketing. “We need to have a plan for Facebook,” commented a general dentist. 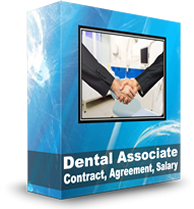 Dentists who use any combination of these dental marketing activities will increase their ability to reach more new dental patients within their target market. What dental marketing activity is most effective for your dental practice? Let us know in the comments! Dental marketing for your practice can be the answer to obtaining more new dental patients, if you use dental marketing tools correctly. 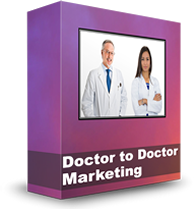 In the past, many dentists relied solely on their good reputations to attract new patients over utilizing proven business marketing strategies. That was before patients began paying more out of pocket for dental treatments and started using the Internet to research dental care costs and services. In today’s technology driven environment, now more than ever, it’s important for dentists to employ proven dental marketing tools and use them correctly. 1. Not asking for referrals or testimonials from current dental patients. Referrals from dental patients can help build your loyal patient base and make your current patients feel like they are a part of your dental practice. Create an incentive program like “free teeth cleaning” for each referral. Think about putting a referral request statement at the bottom of all your emails, correspondence and business cards. 2. 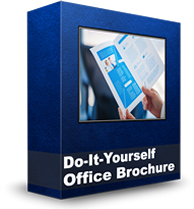 Not using your office phone as a marketing tool. Do you ever have your office staff call dental patients after their dental appointment to see how satisfied they were with their dental visit? If a patient calls and is concerned about costs, does your staff offer up payment plan suggestions over the phone? Does your office voice mail briefly let callers know what specials you may be running or what new treatments you might be offering? If your office is calling patients to confirm their appointments are they letting patients know about new services you are providing or a special you might be offering them because they are a valued patient? 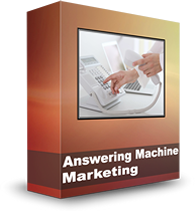 Your dental practice phone system can be an effective dental marketing tool for providing information, re-connecting with patients and marketing your dental treatments. 3. Not making sure your dental website is geo-targeted and keyword rich. More and more prospective dental patients use mobile devices such as iPhones, Smart phones, iPads and tablet PCs to find information about the dentists in their area. 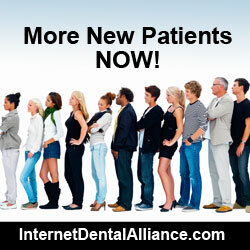 That means dental websites are more important than ever as a dental marketing tool. Your dental practice website needs to have local keywords and that best reflect your geographical market. 4. 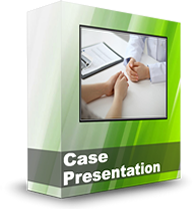 Not having a front desk system in place for dealing with patients. 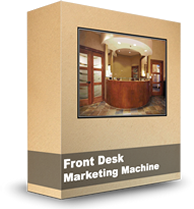 As many as 50% of dental patients can be lost at the front desk. Does your staff greet patients right away? Is your front office organized, bright and welcoming? Do your walls have patient testimonials and before and after photos? Is there anything in the reception area that informs and educates your dental patients on all the treatments and payment plans that your dental practice offers? Turn your waiting area into a dental marketing area! 5. Not having an effective outdoor marketing. Great dental office signage that can bee seen by people driving by your practice offers dentists the ability to speak to those potential patients when their practice is closed. The front of a dental practice is the first impression a client may have of a business. It is important to portray an appearance of professionalism with fresh paint, clean windows and an entrance that is inviting to a new patient. Dentists should utilize front windows by displaying dental treatment advertising and a an office phone number big enough for people to read while walking by, or from across the street. Use the front of your building to reach out to new dental patients. 6. Having a dental sign that can’t be seen from a distance, or at night. When deciding on a dental office sign, sometimes dentists don’t think about optimal letter size, fonts that are easy to see along with plenty of negative space for readability at various distances. These considerations help make sure that passers-by can read your message. It’s also important to have the sign well lit at night so that your sign is working for your dental practice 24/7. 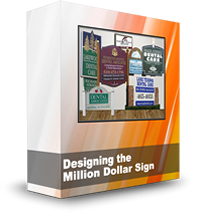 Is your dental sign effectively working for your dental practice? 7. No email list or dental patient follow-up plan. 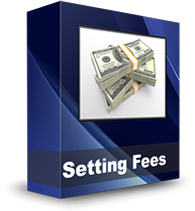 Existing dental patients are an excellent source for creating additional revenue for your practice. Utilizing email marketing helps your dental practice inform patients of the services you offer, educate them on proper oral health, remind them of special promotions, and can make it easy to ask for referrals. Keep reminding your patients of the services you offer and let them know how valuable they are to your dental practice. The good news is that dentists don’t have to keep making these kind of dental marketing mistakes. 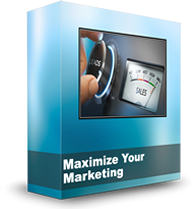 The Wealthy Dentist offers dental marketing strategies and management training programs. With video tutorials, slide-shows, and full supporting content, these training modules can enhance your own dental marketing, management, and continuing dental education. 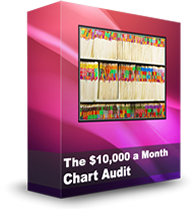 Visit thewealthydentist.com/dental-marketing-tips-tools-ideas.htm for details about these latest dental marketing tools. What dental marketing mistakes have you made? Let us know in the comments. Online lead generation is now a dental marketing necessity for dentists who want to grow their dental practices – especially when they have multiple practice locations. With mobile devices being used to find local services, targeting by location is the best strategy today in dental practice marketing. Marketing-savvy dentists have websites that focus on their different dental practices and geographic locations. 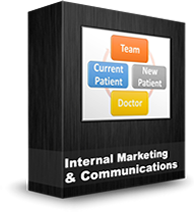 IDA’s New Patient Marketing Machine™ goes far beyond providing a conventional website. The “Display Additional Office” area of the “Customize Portals” section, allows dentists the ability to include a secondary dental practice location on their dental website. It’s a courtesy listing that lets patients know they can choose from multiple locations. To watch a video and learn more about IDA’s customized portals, visit the Display Additional Office on Web Portal page at IDAhelp.com. Dentists need online dental marketing tools that make their websites stand out from the crowd. Internet Dental Alliance, Inc. (IDA) dental websites, or Portals, offer powerful options that generate leads and convert them into patients. For example, there’s an optional response form on each website that visitors can fill out to get a free Smile Analysis. From the online Control Panel, dentists have the option to display the New Patient Smile Analysis page on their website. IDA designed the Smile Analysis promotion to work as a lead generation funnel on multiple levels. First, the offer page and form invites set visitors to submit their contact information to set up the appointment. From there, the dentist has the opportunity to interact with confirmation and reminder emails or phone calls. The process also gives site visitors the opportunity to extend the Smile Analysis offer to friends and family by sending them emails about the offer right from the dental practice website – so the dentist has the possibility of generating more than one ‘warm’ lead from a single website interaction. IDA provides a complete package of dental marketing tools that include turnkey Portals focused on specific dental services – such as general or family dentistry, dental implants, gum disease treatments, teeth whitening, etc. The packages also include listings in IDA’s online dental directory network, dynamic search engine optimization (SEO), lead and call tracking, tools for social networking and mobile marketing – all designed to attract and convert visitors into patients. Dentists, take note: if your dentist website contains “graphic” surgery photos, you’re at risk of being blocked by Google Safe Search. The owner of one dental website complains that the filter, designed to screen out pornographic or violent images, is blocking his images. This is another important reason not to include graphic oral surgery photos on your dental practice website. Now, I’ve been advising this for many years – for a completely different set of reasons – but this only further supports my point. As a dentist, you know what oral surgery and dental treatment look like. You probably hardly even notice the blood anymore. But your patients do not feel the same way. They will see the blood, not the beautiful teeth underneath. Their stomachs will turn. Graphic surgical images will not inspire patients to come into the dentist for treatment. I know that everybody wants to show before and after pictures to highlight the quality of their dentistry. However, it’s really not the best dental marketing idea to show bloody surgery pics. I also don’t recommend showing ugly teeth in your “before” shots. (That’s my professional dental consultant advice.) It’s better just to show beautiful teeth with a testimonial from the satisfied patient. So, if you don’t want to alienate potential patients, and you want your site found on the Internet, I wouldn’t include any graphic surgical images. Just as an aside: I have some experience with image filters. Historically, websites with naked babies or people in swimsuits were sometimes marked as “pornographic.” Filters would scan these images and decide that there was too much flesh showing, so they would be tagged as potentially sexual. I’d wager that there’s enough blood in some surgery photos to flag them as possibly violent.